After the United States entered World War II following the Japanese attack on Pearl Harbor on December 7, 1941, New Jersey's economy--which had continued to feel the effects of the Depression throughout the 1930s--recovered strongly as industry geared up to support the military. As occurred during World War I, New Jersey factories again produced a wide range of military weapons, munitions, vehicles and equipment. The Curtiss-Wright Corporation in Paterson built 139,000 aircraft engines, more than any other firm in the country. Shipbuilders in Camden and Kearny built one-fourth of all the destroyers delivered to the Navy; the Bethlehem Steel and Todd Shipyards in Hoboken built or repaired over 8,000 ships. Overall, an estimated one million workers were in war-related industries which produced some $12 billion in military orders, the fifth highest of all states. From 1939 to 1945, largely due to war production, employment in the state doubled. 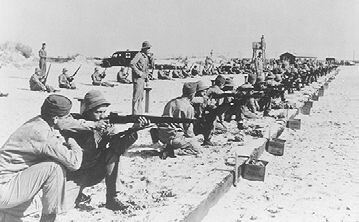 The state also served as a major troop training center and point of embarkation for soldiers and pilots. Fort Dix served as a reception and training center for 1.3 million soldiers; at the end of the war, the reception center was converted to a separation center, processing the return of soldiers to civilian life. Over 560,000 men and women served in the armed forces and military installations in the state, primarily Fort Dix and Camp Kilmer. The Army Signal Corps at Fort Monmouth trained 21,000 communications officers. Its engineers also had key roles in the development of radar and the first backpack FM radio widely employed for battlefield communications. 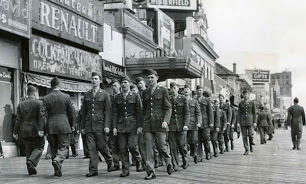 Atlantic City hotels were taken over by the Army Air Corps to house crews in training and to process those coming home before discharge or reassignment. Before the war, Charles Edison, the son of Thomas Edison who had served as president of the company founded by his father, had joined the Roosevelt Administration to accept appointment as Assistant Secretary and then Secretary of the Navy, a post he resigned in 1940 to launch a successful campaign for governor. In May 1943, one of the new type of battleships which Edison had supported while he was in his Navy positions was launched, named in his honor the USS New Jersey. 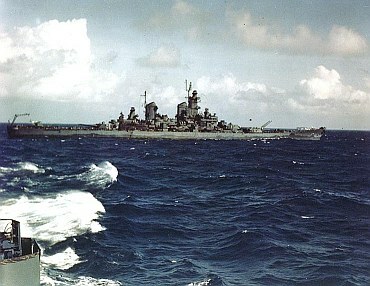 The ship saw extensive action in the Pacific, including support of the assaults on Guam, Iwo Jima and Okinawa and as the flagship of Admiral William F. Halsey, Jr.
During the course of the war, 560,501 New Jersey men and women served in the military; of these, 10,372 were killed or died in accidents or from illness. A lesser-known wartime role played by New Jersey was as the site for Japanese-Americans who were placed in custody soon after Pearl Harbor. Most of those arrested were sent to camps in the West, but in 1943 the Charles F. Seabrook Company in Cumberland County--which supplied the military with fresh, frozen, and dehydrated food--recruited internees to help in harvesting vegetables for its frozen processing operations. Within a year, nearly 1,000 workers had relocated to Seabrook from internment camps, and the total number of resettled Japanese Americans reached close to 3,000, with many families remaining in New Jersey after the war. In 1943, Republican Walter Edge, who had first served a term as governor after his election in 1916, again was elected governor, making him the chief executive of the state during both world wars. After his first term as governor, Edge had served in the US Senate and as ambassador to France. In his second term as governor, Edge attempted to enact constitutional reform, particularly to strengthen the governor's role by increasing the term of office to four years, allowing successive terms and enhancing the veto power. In 1944, however, a proposed new constitution backed by Edge failed to be ratified by the voters, with opposition organized by Jersey City Mayor Hague, who feared expanded state investigative powers and the possible loss to Jersey City of back tax revenues owed to it by railroads.